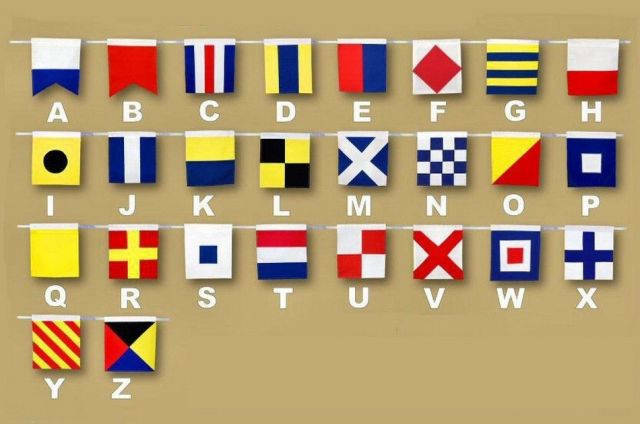 Display proudly this set of 26 Nautical Alphabet Flags in your home or office. Our 20” nautical signal flags are made from double sided cotton fabric. They are hand-sewn, double-stitched and ready to hang. With their bold and bright colors, these nautical flags are the perfect wall decor to string from wall to wall your favorite name, phrase, or saying. Great for nautical decor, kid’s parties, or for any nautical event. Show your visitors your affinity for the nautical lifestyle with this collection of flags.